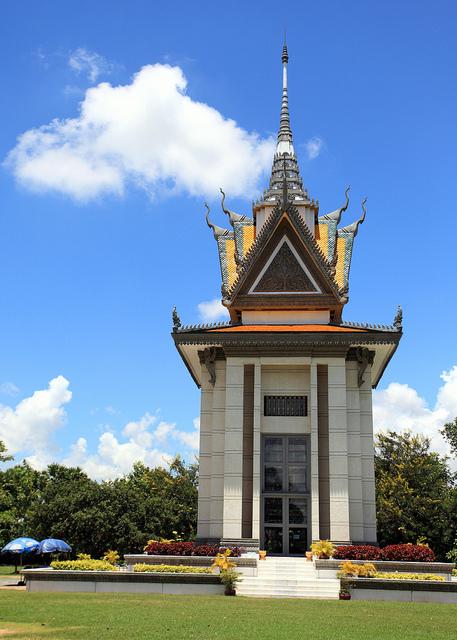 On Sunday, Marie’s first and only full day in Phnom Penh, we took a tuk-tuk to the city’s most popular tourist destinations: the Tuol Sleng (S-21) Museum and the Killing Fields. 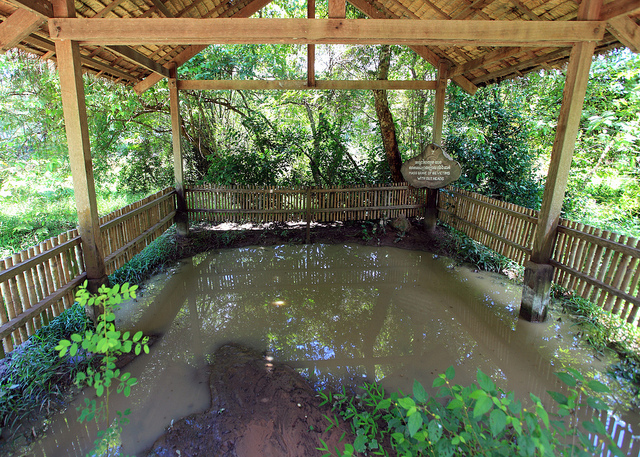 Both sites were used by Pol Pot’s Khmer Rouge regime when it ruled Cambodia from 1975-1979. 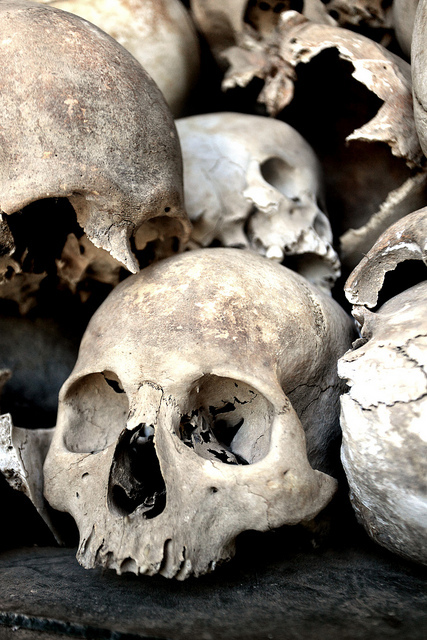 The Khmer Rouge made a radical attempt to transform Cambodia into an agrarian-based communist society dominated by peasants, and in the process they committed genocide. 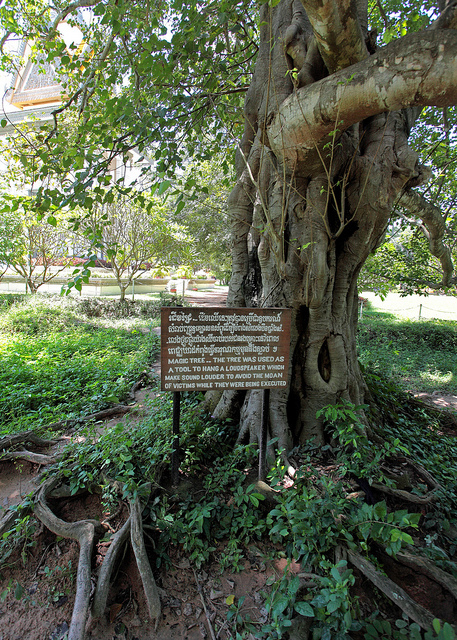 According to most estimates the Khmer Rouge were responsible for the deaths of almost two million people, representing about one-fourth of Cambodia’s entire population at the time. They abolished the use of currency, outlawed religion, confiscated all private property, and murdered anyone who seemed the least bit intellectual (which included anyone wearing glasses). Pol Pot also ordered the evacuation of all urban areas. City dwellers were either killed or marched into the countryside to work as forced laborers on collective farms. In suddenly-deserted Phnom Penh, what was once the Tuol Svay Prey High School became Security Prison 21 (S-21). 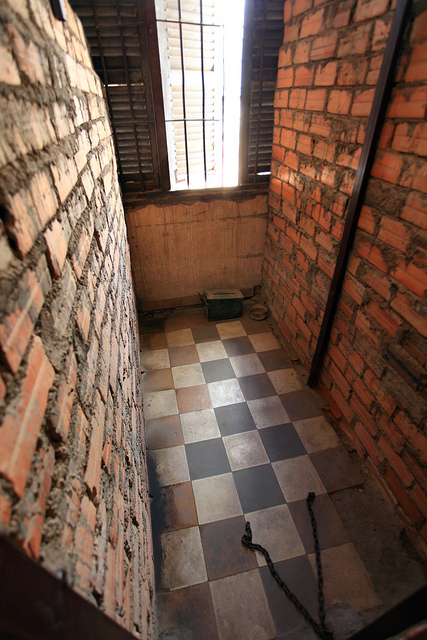 Enemies of the state, both Cambodians and foreigners, were sent there to be imprisoned, tortured, and almost always killed. 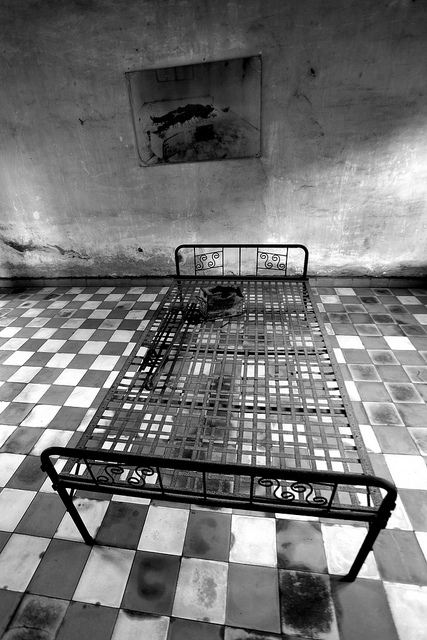 Like most visitors, Marie and I started our tour of the Tuol Sleng Museum by walking through the converted classrooms where prisoners were chained to metal bedframes and tortured. Then we went next door to a building filled with row after row of tiny detention cells. Prisoners lay on the floor, in the dark, listening, no doubt, to every terrible sound coming from the torture chambers. 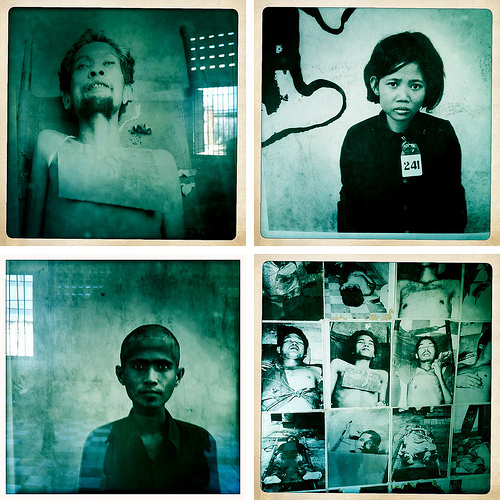 An estimated 17,000 prisoners passed through S-21, and each one of them was photographed for the Khmer Rouge’s extensive records. 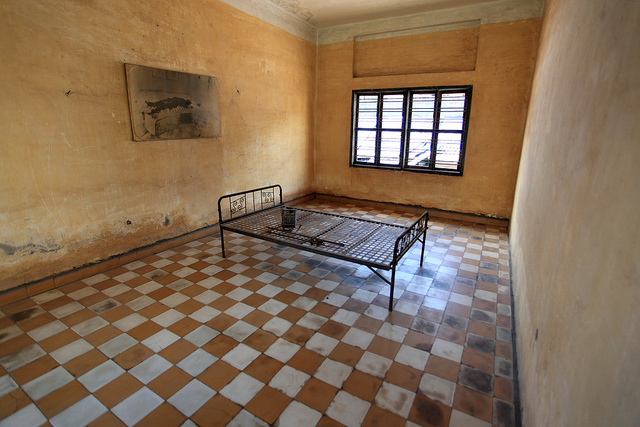 The Tuol Sleng Museum displays hundreds of those photos, putting very human faces on statistics that can otherwise seem mind-numbingly large and abstract. The final room of the museum displays the skulls of some of the people killed at S-21. Right inside the entrance to the Killing Fields is a large Buddhist stupa containing the skulls of thousands of victims. Beyond that are paths leading out and around an area that used to be an orchard and still looks more like a park than a memorial. When I first visited four years ago, I remember starting along one of the paths thinking, “Where are the Killing Fields?” and wondering why they hadn’t cleaned up some of the trash I saw lying around. Then it hit me – I was already in the Killing Fields, and that wasn’t trash. When you follow the paths you are literally walking over the clothes and bones of the victims. 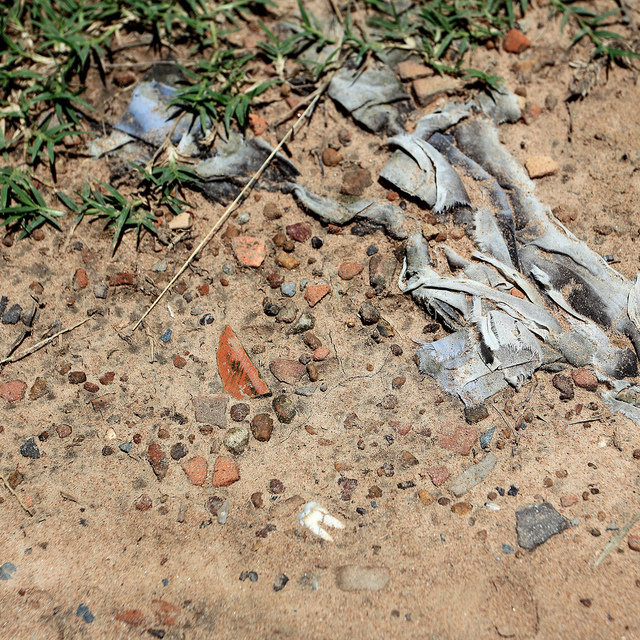 Visible bones and teeth are eventually collected, but every heavy rainfall exposes more. How strange to go from the Killing Fields back to the glitzy NagaWorld hotel and casino. Cambodia has changed a lot in thirty years. That night the NagaWorld lobby featured some kind of ‘cultural performance’ that contributed impressively to the surreal atmosphere. I was there 8 years ago, very eerie!!! People still seem not to learn from history though! !